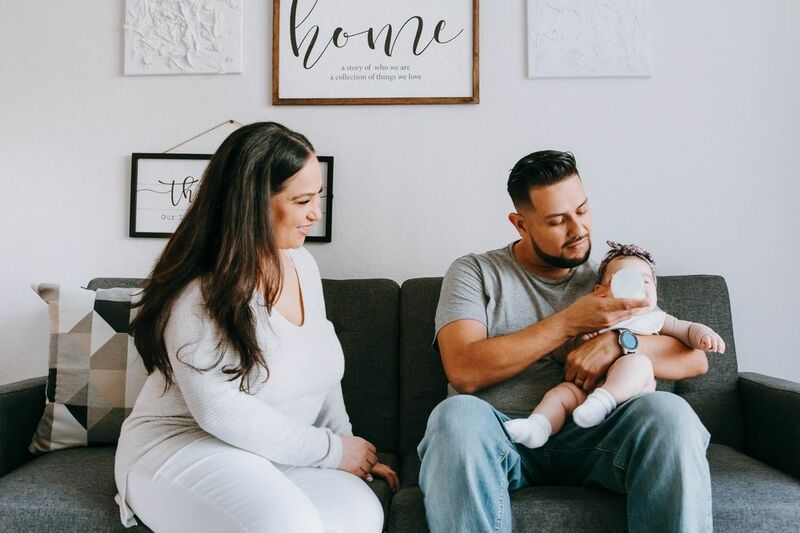 It's a hot topic for those planning weddings: Kids or no kids? 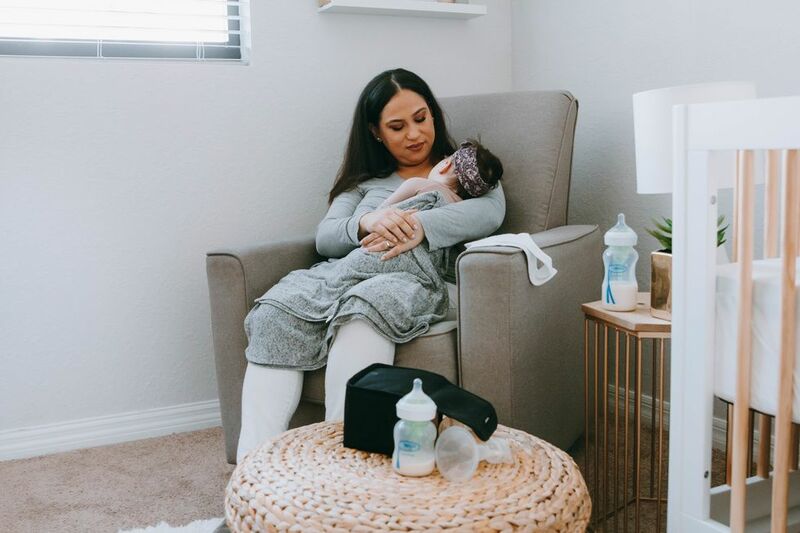 On the one hand, the choice is totally up to the bride and groom, but on the other, allowing kids to come to your big day can make things a little easier for the parents in your life. 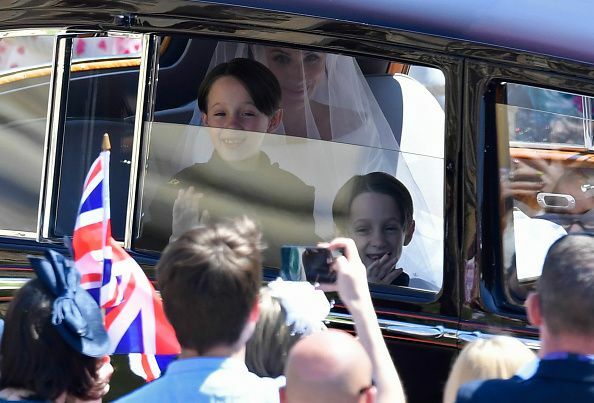 And as the royal wedding proves, it can also crank up the cuteness factor by about 100%. 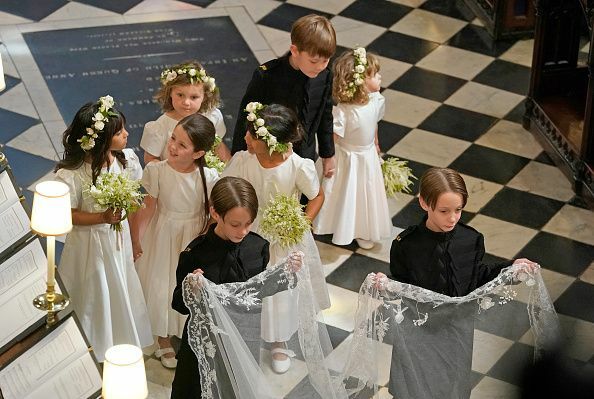 We were thrilled when the Royals announced Prince Harry and Meghan Markle (now known as the Duchess of Sussex) were opting to fill their wedding party with children, and the adorable pictures of the big day prove it was definitely the right choice. 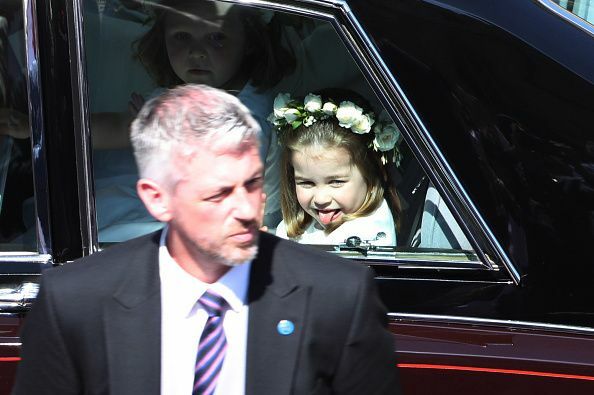 Sticking her tongue out as the bridal party passed by crowds, Princess Charlotte reminded us that while she is a royal, she's also a 3-year-old. 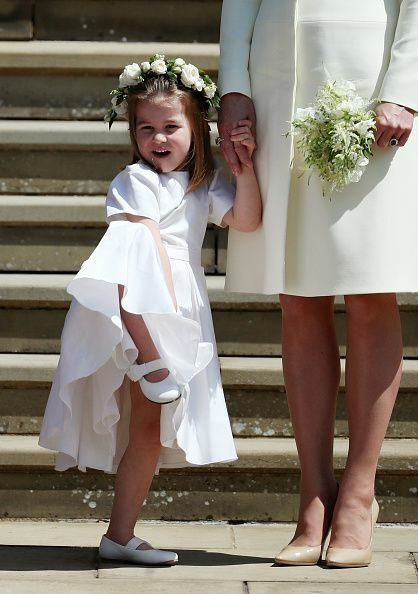 Holding her mother's hand, Princess Charlotte strikes a pose only a toddler would, looking like an adorable little flamingo. 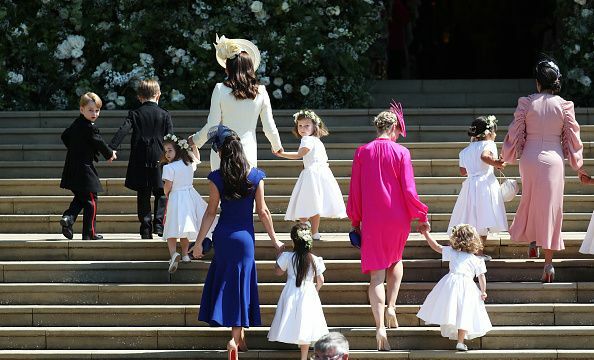 Cutie Prince George looks back at the cameras as he heads up the stairs with his mother and the rest of the underage bridal party, which includes Florence van Cutsem, 3, Jasper Dyer, 6, and Zalie Warren, 2, Remi and Rylan Litt (ages 6 and 7, respectively), and 4-year-old Ivy Mulroney and her twin brothers Brian and John. The girls enjoyed some mid-wedding conversation while the Mulroney twins took their train carrying duties pretty seriously. The Mulroney twins were less serious when they were not on dress duty, in the car with their mother's (stylist Jessica Mulroney) good friend Meghan, now the Duchess of Sussex. 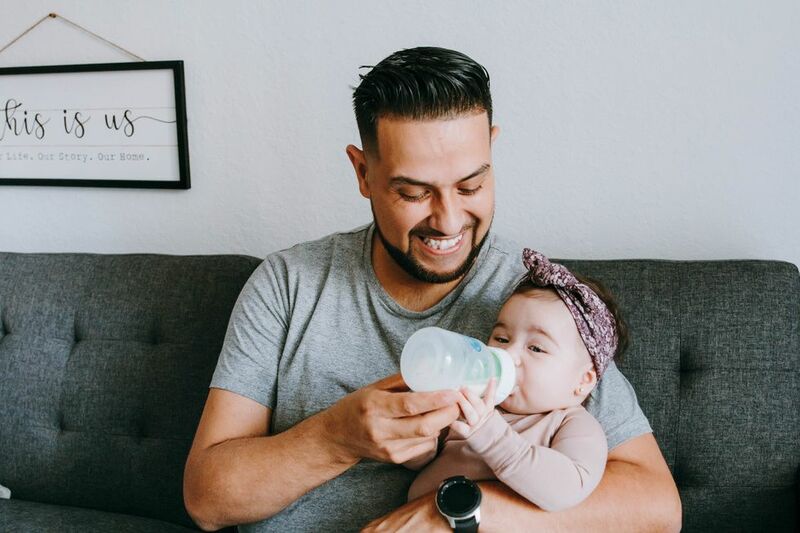 These pics prove that sometimes, adding children to a wedding doesn't take attention away from the bride, it just makes the big day even more fun.